Enter to win a VIP ski getaway to Squaw Valley, California for two on March 22-25, 2018. 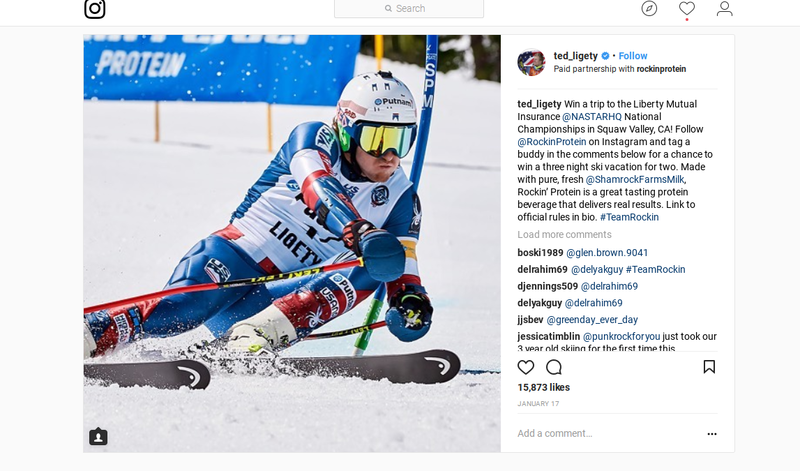 Enter the sweepstakes on Ted Ligety’s Instagram page. To be eligible to win, you have to follow @RockinProtein on Instagram and tag a buddy in the comments of the post.